The United Nations (UN) is an international organisation whose stated aims are to facilitate co-operation in international law, international security, economic development, social progress, human rights and achieving world peace. The UN was founded in 1945 after World War II to replace the League of Nations, to stop wars between countries and to provide a platform for dialogue. There are currently 192 member states, including nearly every recognised independent state in the world. From its headquarters on international territory in New York City, the UN and its specialised agencies decide on substantive and administrative issues in regular meetings held throughout the year. 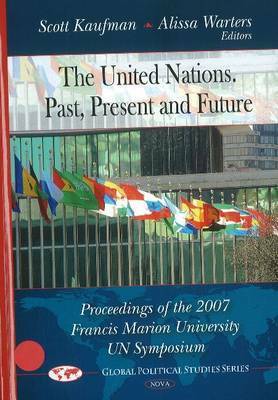 This new and important book presents the proceedings of a conference dedicated to the past, present and future of this sometimes unwieldy but essential international organisation.